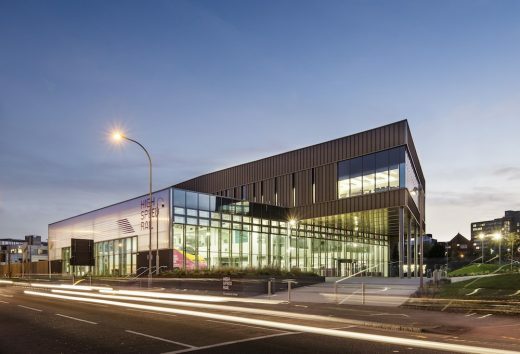 National College for High Speed Rail, Birmingham, is one of eleven buildings shortlisted for Royal Institute of British Architects West Midlands Awards 2018. Winners will be announced at an awards ceremony at Tom’s Kitchen, The Mailbox, Birmingham on Tuesday 22 May. Bond Bryan Architects attended the West Midlands, Insider Media Property Awards 2017 and scooped the Highly Commended, Construction Project of the Year Award for The National College for High Speed Rail, Birmingham. Insider’s Property Awards are ‘a showcase of the biggest and best’ from across the West Midlands and celebrate the remarkable achievements of the region’s commercial sector. 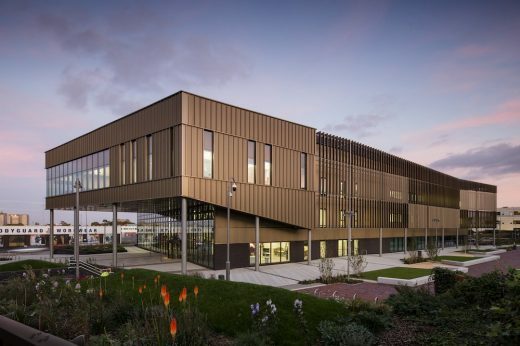 Designed by Bond Bryan Architects – in partnership with Birmingham City Council, HS2 Ltd, and major contractor, Willmott Dixon – the £22m facility is the first major National College development in the country and a pioneering centre of excellence for rail engineering. Bond Bryan are the foremost designers of advanced manufacturing and vocational learning buildings. 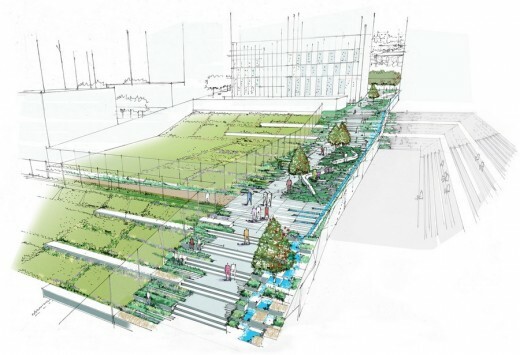 “The High Speed Rail College aims to provide specialist training within a stimulating environment, in which staff and students can develop the wide range of engineering, digital and commercial skills required to support major rail and infrastructure projects.